Have you heard the news? 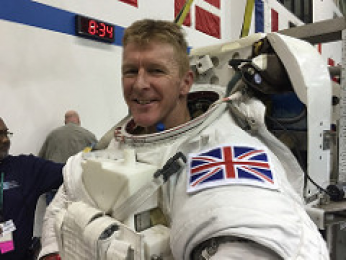 In recognition of his outstanding contribution to raising the profile of STEM subjects amongst young people, the STEM Ambassadors Programme has made British astronaut Tim Peake, the UK’s first honorary STEM Ambassador! Tim accepted this honour at the Principia Schools conference in York on 5 November. “By becoming our first honorary STEM Ambassador, Tim Peake is supporting over 30,000 UK STEM Ambassadors across the UK who voluntarily give their time, enthusiasm and commitment to encourage young people in science, technology, engineering and mathematics (STEM). These volunteers help open young people’s eyes to a world of opportunities and possibilities which come from pursuing STEM subjects and careers.